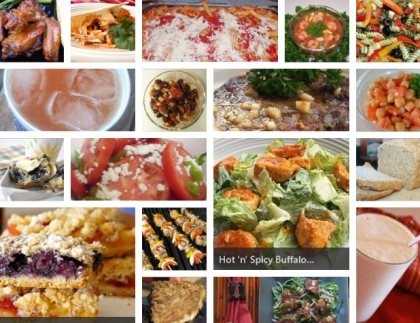 Allrecipes application is a free recipe app using which Windows 8 users can get several recipe ideas. With the help of this recipe application the users can easily make several restaurant like delicious stuffs at their home. There are thousands of recipes available in this application and some of them are even displayed on the main screen of this application. All you have to do is to click on any recipe idea and get the ingredients, direction, nutrition, and reviews on that particular recipe idea. If you want to get recipes of other yummy stuffs then click on ideas option. It will take you to the world of recipes of several other tasty and delicious dishes. The good part is that you can even get the recipe according to preferred dish type like breakfast, dessert, soup & stew, salad, beverage and many more by right-clicking within the ideas screen and selecting the Dish type option that appears at the bottom left of the screen. You can even easily find the dishes with or without a particular ingredient like eggs, milk, etc within this application. For this you need to click on ingredient option, which will further display two options i.e I want recipe with this and but not this. You need to click on the plus button below any of these options according to your preference, and this will show you a complete chart of ingredients. Now, you need to select the ingredient to find the dishes that include or not include that particular ingredient. And now this smart recipe app will show you several dishes available that include or does not include the selected ingredient. The worst part is that this recipe application does not include a search option to search and find any dish just by entering the name. Don’t forget to check out our recent post on music preview app for Windows 8. Offers you thousands of recipes for several dishes. Offers dish type option in which you can select the dish type and get the recipe. Let’s you find dishes that should include or should not include a particular ingredient. Offers you an adjust serving option, using which you can adjust the ingredients in the recipes before sharing it with any one. Shows ratings and reviews also. Available in Windows 8 App Store. Allrecipe application is one of the smart recipe app that offers a wide range of recipes for several dishes. Try this Application from the app store of Windows 8.
w00t, this is what I wanted before even thinking about buying a touchscreen… gotta have handy cooking media available at my fingertips!!! !